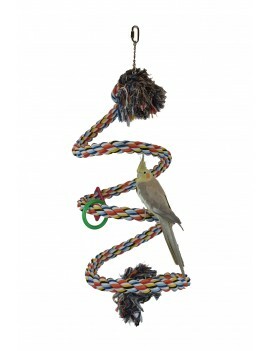 - Made from high quality, non-toxic cotton materials, the rope perch is safe for your birds. 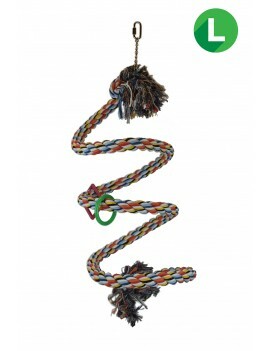 - The bungee rope perch can promote exercise and help to develop coordination and balance skills. Good for your bird's health. - The large size bird bungee rope perch is suitable for large size birds, such as amazon, african frey, cockatoo, etc.